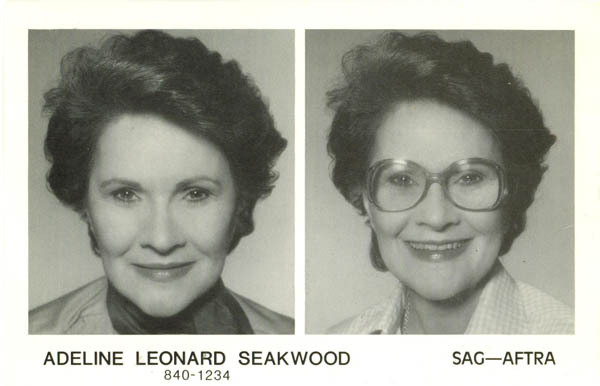 One of the most notable ladies I've met in my job is Adeline Leonard Seakwood, an indomitable talent and at 89, a bustling force of positive energy. I had heard she once was a model, and upon asking her, she tells me, "Oh yes, and I was the production coordinator on the first Superman movie!" 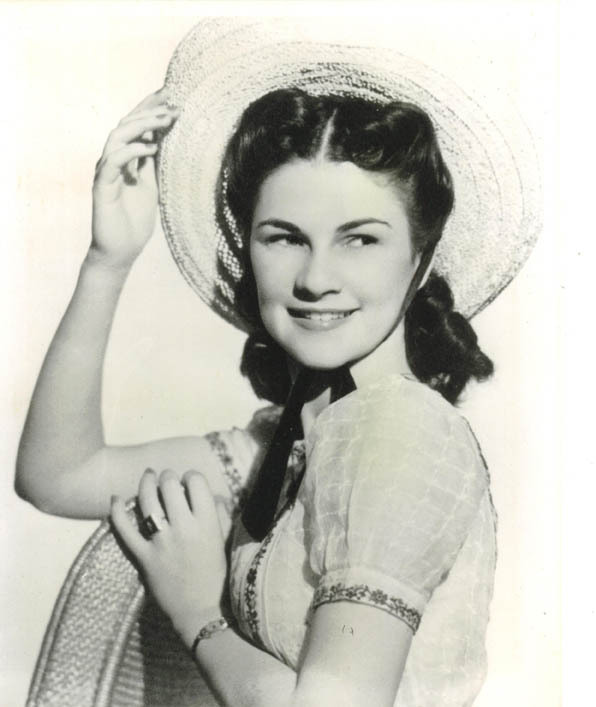 As one might expect, this bright-eyed lady has a marvelous history both on and off the screen. 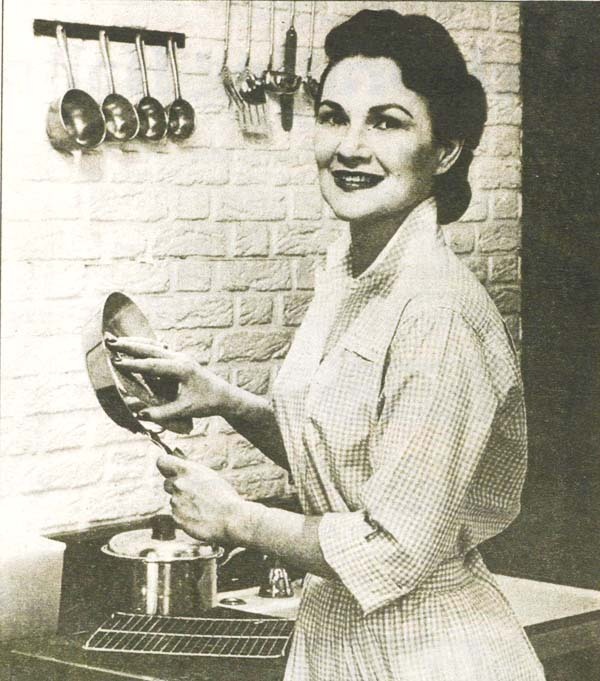 First a model, then an actress, Adeline first became involved behind the scenes in films after an urgent call for office help brought her quickly to the studio of John Graham, a production manager. Her ability to turn the whirlwind mess into a manageable atmosphere caused Graham to say, "I don't know who you are, but never leave me." As you can see, this lady's an exception. But let's start at the beginning - Adeline was a precocious child at the piano, as her mother discovered she could play by ear at the tender age of 2. Her mother wrote, produced and acted in off-Broadway plays in the 1920s & 30s, which was a lucky thing for Adeline as she enjoyed the spotlight immensely. Adeline herself was a part of one of these plays, "Lest We Forget", with speaking lines at age 9. At age 15 a friend suggested Adeline ought to model, and so she tried it out. 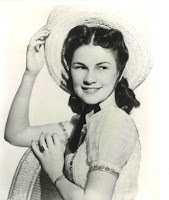 In 1938 she became a Powers model with photos in hand, and as a young adult she modeled for various publications. Because the Powers agency did not offer classes, I was curious to know how Adeline learned to pose. 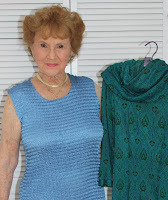 She replied, "I don't know how I learned to pose; it just came naturally to me I guess." The fashion publications were "nothing of note" Adeline says, but she has polished and beautiful photos to show for it. The photo at right was one taken for the agency. 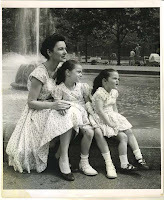 And her mother was a wonderful support, designing clothes for her photo shoots and supporting Adeline in her creative endeavors. Because she grew up in Brooklyn, the film industry was nearby, and Adeline auditioned for many commercials and movie projects. Today her piano is covered with framed photos including one of Adeline posing with a Coca-Cola bag circa 1950s. Commercials like this brought Adeline into the world of film, and as she had some secretarial skills, she also grew in demand thanks to the needs of busy production managers like John Graham. On-screen, Adeline was often an extra in the movies. As an extra, the clothes she wore were "nothing of particular consequence", but described in advance by the studio to inform you how your clothing should fit the film. 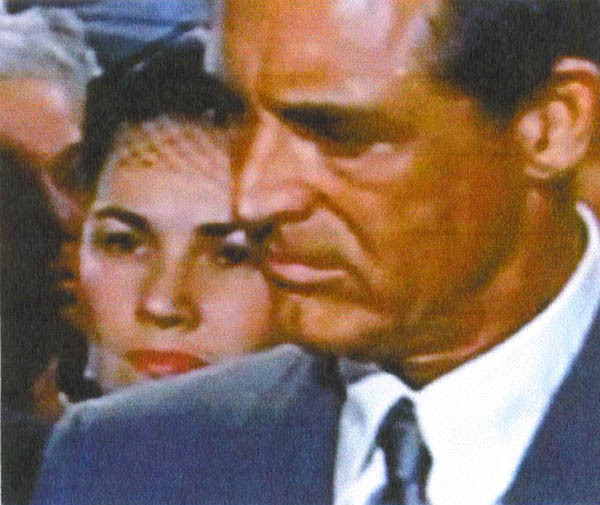 In one famous scene, she wore a smart blue suit standing behind none other than Cary Grant. The film was "North By Northwest"; the scene was in the elevator. Originally Adeline was slated to be an extra on the street during a farewell cab scene with Grant. Director Alfred Hitchcock deemed Adeline "too pretty" for the street scene, and instead sent her to stand amidst the pressing crowd in the elevator. On the first take, Mr. Grant stood in front of Adeline so that she couldn't be seen. At a pause in filming, Adeline coolly whispered into his ear, "My mother will never forgive you." And Mr. Grant stepped to one side. Off camera, Adeline developed extensive experience as a production coordinator, managing "the nerve center" of the many and varied requirements of a film production. In this role she was a part of dozens of films and TV shows, including The Patty Duke Show from 1962 to 1965. A complete list of her impressive film career is located at IMDB (note to Adeline: this will create a link to a website that shows your movie credits). Even behind the scenes, her encounters with movie stars were still an occasional part of working life. During a production with Paul Newman, the office staff moved off-site for an impromptu meeting. As Adeline lugged a heavy typewriter to the meeting location, Mr. Newman graciously intercepted the bulky equipment, saying, "Let me help you with that." While working on Three Days of the Condor starring Robert Redford, the production team struggled with a last-minute script change. After much delay, Adeline rushed the final version of the script onto the set. As her production jobs were nearly always confined to an office, Adeline's face was unknown to many on set. Crowds of public spectators were lined up along the set to get a glimpse of the famous names. When Mr. Redford spotted her, he picked her up and gave her a big hug in thanks for the new script, much to the curiosity of those crowds of people, who all wondered "Who's that?!" Despite this memorable display of public affection, Adeline lived a quiet life mostly outside the spotlight, although her first meeting with her future husband Herb Seakwood was indeed like something out of a movie. Mr. Seakwood was an attorney who needed temporary help at his office, and Adeline answered the call to take a letter for him. Although she did not remember shorthand, she ambitiously wrote as he dictated page after page of difficult "legalese." It was a harried ordeal for Adeline, and due to hours focused on the legal pad, Adeline did not even remember his face afterward. After this temporary job, Adeline and her future beau had no connection, and it was more than a decade later when Cupid struck. This time, Adeline met him accompanying her aunt to his office to create her aunt's will. Not two weeks later, this aunt passed away unexpectedly, and Adeline found herself back at Mr. Seakwood's office to manage the estate. Adeline and Herb fell in love, and they have been doting companions ever since. Their deep sentiment is displayed in their clothes, as the dress and suit they wore in 1980 at their wedding are still in the closet, carried out and worn every anniversary. Likewise, Adeline wears the same vintage dress each year to commemorate their first meeting decades ago (see photo below). They are utterly charming, and the among the most loving couples I've ever met. Back at the piano, other framed photos show Adeline smiling with the likes of Christopher Reeve, Robert Redford, William Shatner, Carroll O'Connor and Peter Falk. Adeline's impressively able at the piano even today. Due to decades of playing by ear, she has at her fingertips a world of tunes, both old standards and her own original works with effervescently positive lyrics. She graciously played some for me during our interview, much to my delight. And today Adeline brings delight to many more than me. She's the Sunshine Lady for three local organizations, offering a smile and kind word to countless people new to our area. Her bright charm is a gift once cultivated both on and off stage, behind and in front of the camera. What a lovely story about a charming lady!! I'm so glad you shared this, April! Loved every word and I've posted it to Twitter and FB. Thanks for telling the world about this wonderful gal. You are most welcome! I knew you'd be loving this one. Adeline is an absolute gift and I was so glad to share her story.